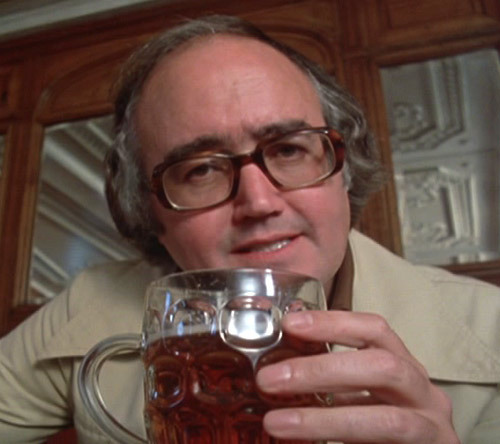 James Burke began a TV series in the seventies he called Connections. Via a series of intermediate, linked steps he would show how modern coffee makers depended upon the ability of prehistoric man to build Wendy houses, or suchlike. I loved the programme because it brought out so many amazing (to a young boy) juxtapositions and coincidences and used many recreations of ancient warriors. Still available on YOUTUBE, of course maybe. Classical galleys and trieres are not associated with the northern land where I live. OK there are early medieval galleys which arose froma different ship-building tradition - some call them 'viking ships'. However, one was actually found just down the road from where I write this. The grave of a Late Roman Iron Age man - called the Ishøj 'Prince' in the popular press was found in 2007. He had been badly cut up, hopefully by a group of revolting peasants shrugging off their aristocratic overclass. The fact that his grave is stuffed with luxury goods points to the peasants failure. 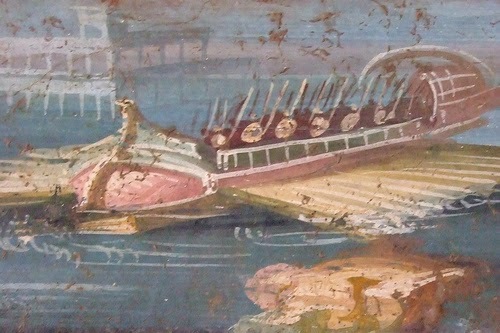 Amongst the goods is a trireme. Well, not an actual trireme but the closest one is going to get to one in Denmark. 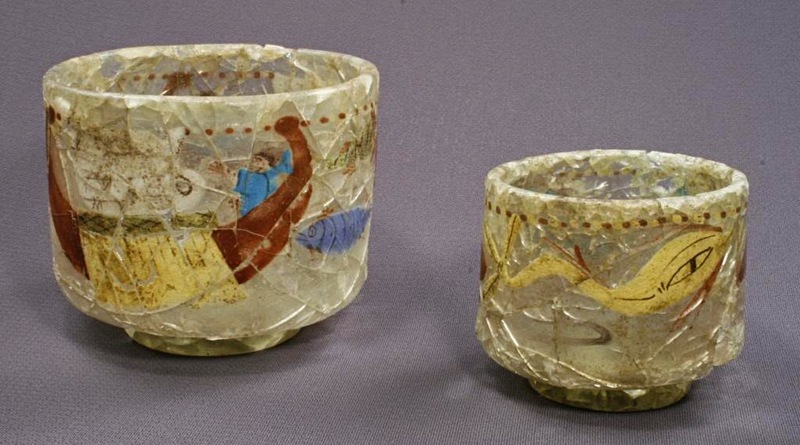 The Danish/ Sjællandiske nobility loved Roman glass beakers - a number have been found - and in Ishøjfyrsten's grave were found two such. One has a lot of dolphins on it, the other ..wait for it.. two galleys. The ruling elite of Sjælland at this time had good relations with the Roman empire. They may have fought as auxiliary troops. They may have helped provide a buffer zone for the empire's borders against even more hairy barbarians from further out in the darkness. In any case they obtained and valued fine Roman goods including the beakers. I can think of no better gift for an ancient Sjællandsk warrior on Fathers' Day. A fine drinking vessel for fine mead and wine decorated with either the denizens of the sea- dolphins - or with a ship. The island-dwelling Danes have been of necessity a maritime people throughout history. The maritime themes would be instantly recognisable and appeal. Barbarians could not make such glass beakers. The item was transported over the limes somewhere and into the barbaricum. Later, it crossed the sea to Sjælland and was given to the 'prince'. He was felled in battle - seriously finished-off. The beaker ended in the chambered grave barrow with him. Now Ellekilde lies almost in the suburbs of Copenhagen. Building work means more and more of his tribe or even family have been disturbed in their eternal sleep. The decoration of the beaker is not able to photographically record a galley, of course, but the ships shown is a nice small galley familiar if you have looked at Roman murals or at Trajans Column. There are the familiar high prow and stern - with terminal volutes. There is a steersman in the stern with maybe his right hand on a steering oar not visible and outstretched left hand struggling with the sail or rigging. The hull is low and topped with a lattice-work balustrade as we see on Trajan's Column. The oarbank appears from the lattice-work angled to the stern. 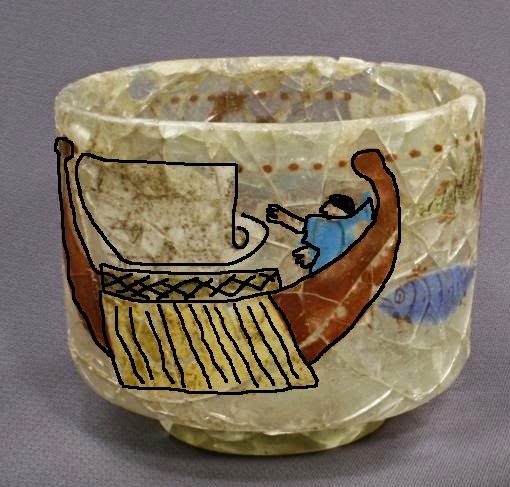 And I now sit some kilometres down the road from a place where a luxury glass beaker bearing the depiction of a Mediterranean galley was found. The beaker having been used by a wealthy man and ended in his grave after he was violently killed. The grave was then dug-up as Copenhagen's suburbs devour the countryside of Sjælland. Sitting in these northern wastes dreaming of torquoise seas and black ships it never occurred to me that someone had maybe done the same 1500 years ago..while sampling the local brew. These connections...who'd have thought ? SYRACUSE REBORN - plus ships!